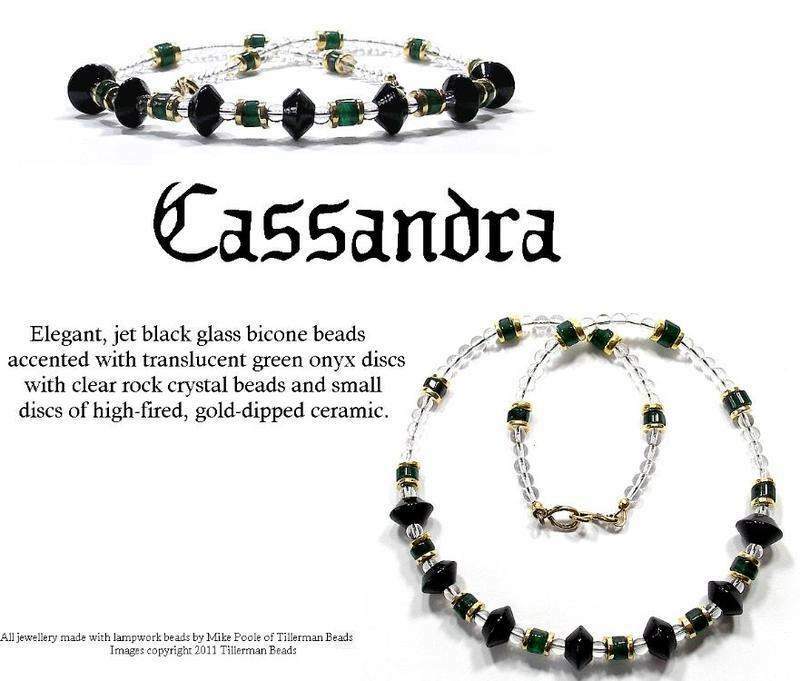 An elegant necklace with translucent green onyx accent beads and high-fired gold-dipped ceramic discs accenting handmade black glass bicone beads. The necklace illustrated measures approximately 17"/43cm. All necklaces from Tillerman Beads are created individually in the studio, using the best quality materials, including SoftFlex stringing wire, crimps and crimp covers and the best findings available.